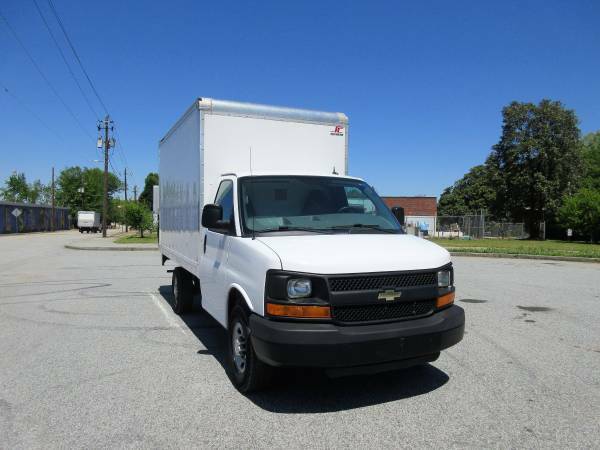 2015 Chevrolet Express G3500 12Ft Box Truck, This Truck Is Fleet Maintained All Maintenance Is Up To Date - Two Units Available. 12Ft Supreme Box, Height 73 Inch Width 71 Inch 12Ft Long. Tommy Gate Lift Gate With Max Capacity Of 1000 Pounds Automatic Transmission, Ice Cold A/C, 4.8L 8V Engine, 99,205 Miles. Truck Is Clean And Ready For Work, Located At Downtown Atlanta Near Turner Field. For More Info Call .